Over 400 business leaders in attendance at the GSBA Scholarship Fund Dinner demonstrated their commitment to invest in the next generation of leaders by awarding over $330,000 in scholarships to LGBTQ and allied students in Washington State. 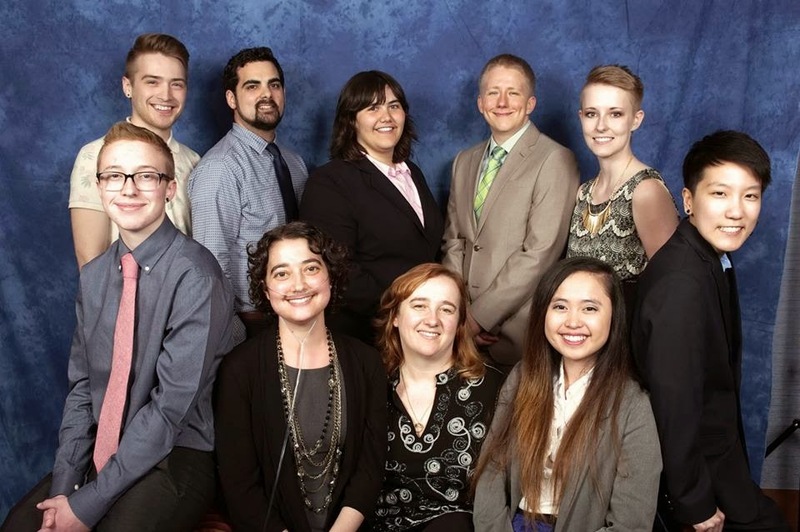 The GSBA Scholarship Fund awards educational scholarships to undergraduate lesbian, gay, bisexual, transgender and allied students, who exhibit leadership potential, demonstrate strong academic abilities and are actively involved in school and community organizations. Scholars reflect a diverse group of students, from rural and urban areas, pursuing a wide range of professions and who have plans to positively impact their community. GSBA is committed to positioning today's students to become tomorrow's leaders. GSBA’s Scholarship Fund supports the community through providing financial support, role-modeling and hope to outstanding lesbian, gay, bisexual, transgender, queer and allied students, many who have no traditional means of support. The GSBA Scholarship Fund started in 1990 because of the great financial need of lesbian and gay students with no other means of support. These students, because of their sexual orientation, were often discriminated against in school, experienced bullying by their peers and may have lost family support. Some were even thrown out of their homes because of their sexual orientation. As a marginalized group, these students may not have received financial aid from more traditional sources. Over the years, the GSBA Scholarship Fund has expanded its reach and its mission. Scholarships are now available to students of any age who are WA state residents. They may be LGBT themselves or come from families with gay or lesbian parents, or straight, allied students who are committed to working for civil rights in the LGBT community. In addition, scholarships have been extended to graduate school students if they have received funding from GSBA during their undergraduate education. For the third year in a row GSBA has awarded the Microsoft STEM Scholarship. Dozens of Microsoft employees volunteered their time to interview scholarship applications this year, and at the dinner, Microsoft Corporate Vice President Frank Holland presented the GSBA Scholarship Fund with a check for $40,000. To date, the GSBA Scholarship Fund has awarded over 400 scholarships totaling $1.9 million dollars. GSBA scholarship awards range from $3,000 to $13,000. They provide significant support to students who often have little support from other sources. In addition to financial support, having the acceptance and encouragement from business and professional leaders provides LGBTQ and allied youth role models and the kind of validation important to all youngsters on the road to adulthood.